A Little Bit etc. 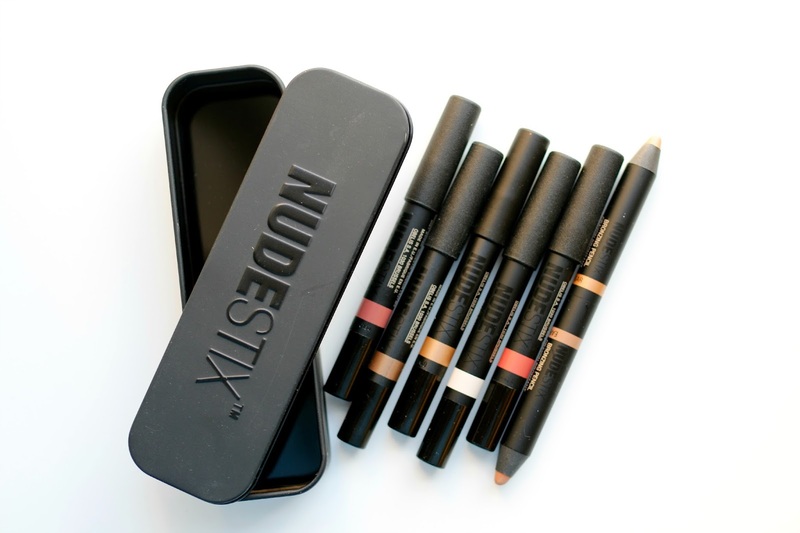 : NUDESTIX Giveaway!!! No better way to start the weekend off than with a giveaway, right?!! I have been in jury duty the past few days (ugh), but wanted to get this up before the weekend begins. I'm hosting a NUDESTIX giveaway!! I will be picking 2 winners this time, and each person will receive all of the following: 1 Gilt Magnetic Eye Pencil, 1 Twilight Magnetic Eye Pencil, 1 Lip and Cheek Pencil in Soul, 1 Lip and Cheek Pencil in Mystic, 1 Blur Pencil and 1 of the new Bronzing Pencils in Earth/Golden Sugar. I have done reviews with swatches on all the pencils before, you can read those here, here and here just to familiarize yourself with the prize. Good luck everyone! Have a wonderful weekend - you guys are the best! Items featured have been graciously provided by the brand. Giveaway open to US and CAN residents only, and the winners will be selected at random. Must be 18 years or older to enter. Lost, damaged or stolen prize items cannot be replaced. Good Luck!